A number of downsized Indian toradar with such lavish inlays are in circulation. 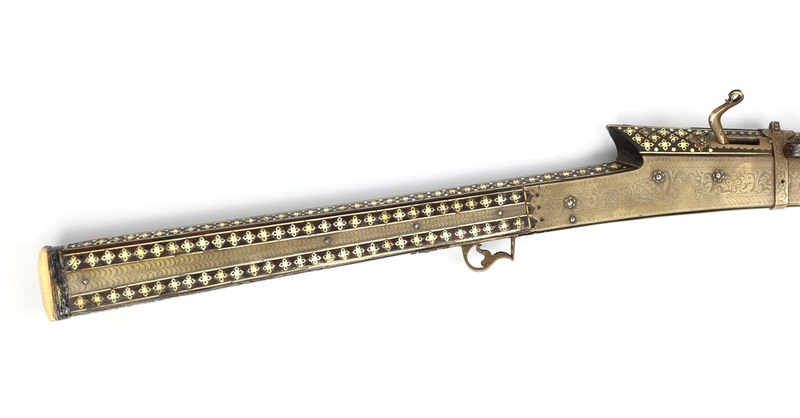 Such muskets were presumably used by women and boys. 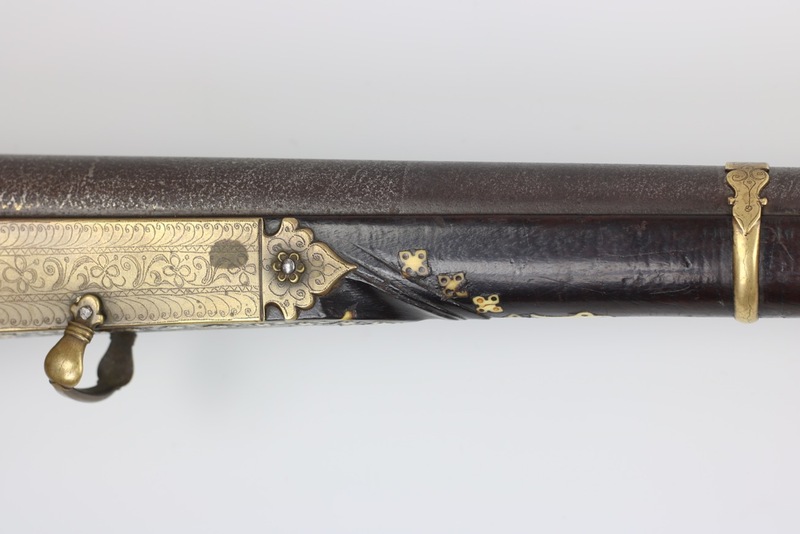 In aristocratic families young buys were sometimes taught how to shoot from a very young age. In some cases, women would sometimes learn how to shoot and join the hunt. 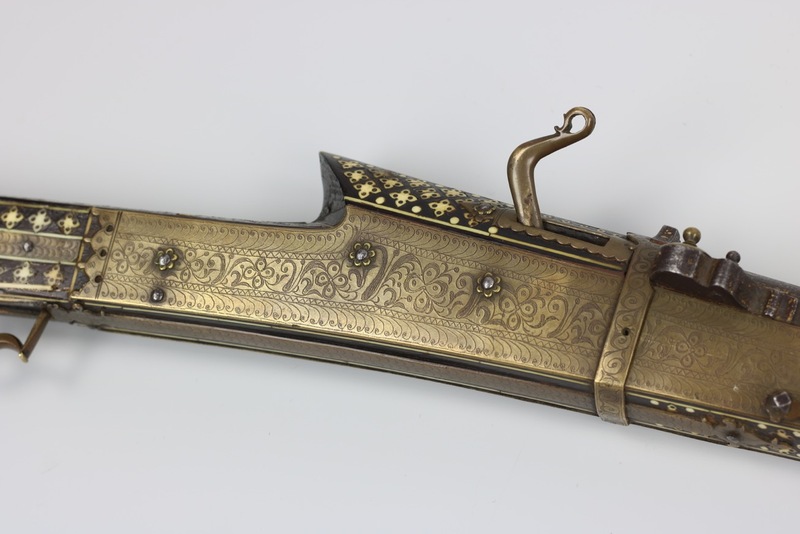 There are also paintings of grown men with such guns, suggesting in some cases they might have simply preferred a more easily transportable firearms. 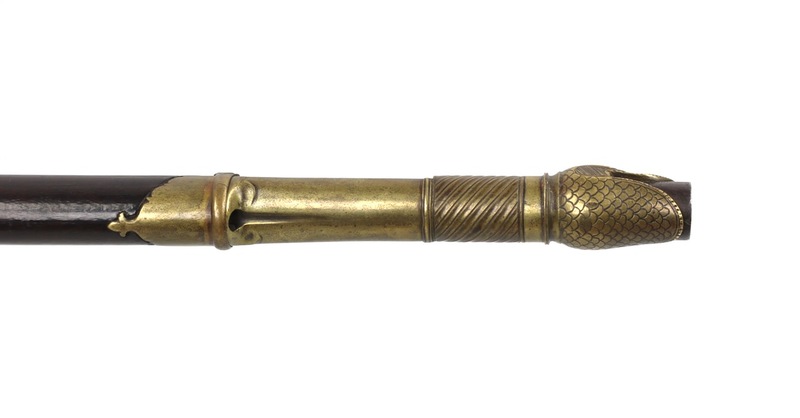 Top, a full-size Indian toradar for sale on our site, and bottom the piece that is the subject of this article. 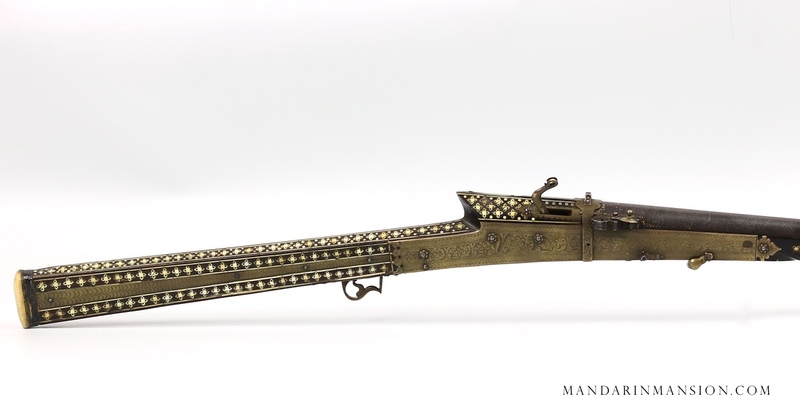 Origin: 18th to early 19th century, northwest India. Materials: Wood, brass, bone, steel, gold. 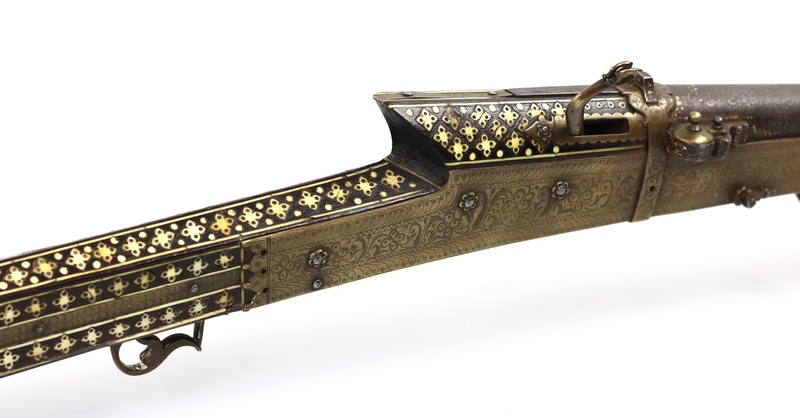 Provenance: Sotheby's New York, Friedland Collection. 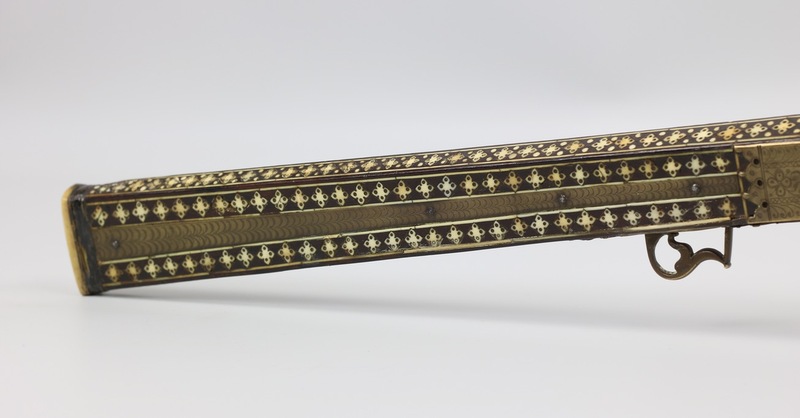 A very fine north Indian toradar with elaborately inlaid stock. 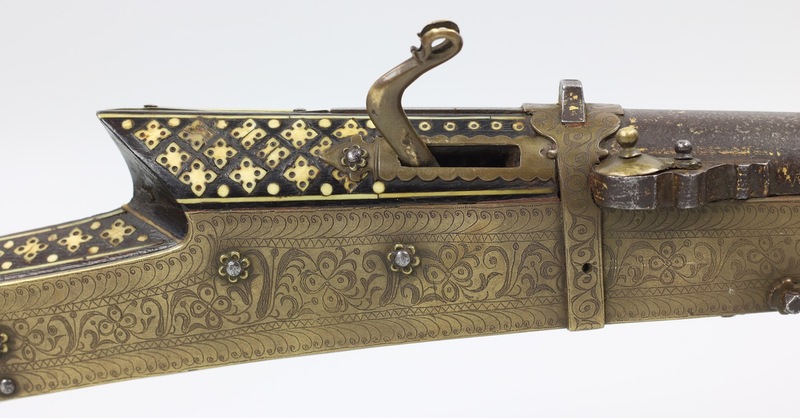 The barrel is of twisted bars of steel, with remains of gold damascening. 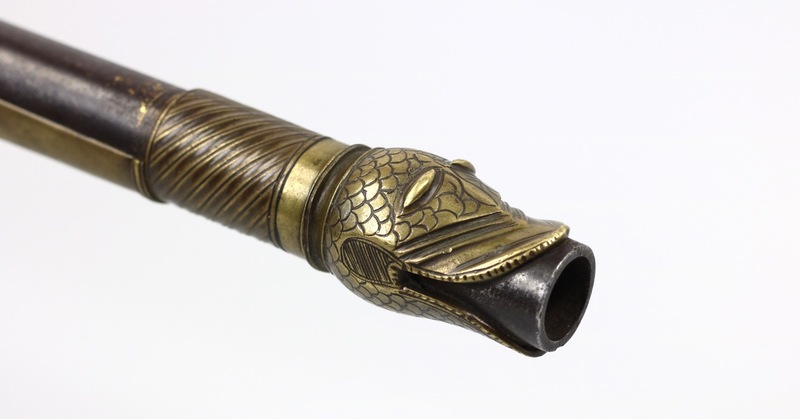 The muzzle emerges from a brass monster's head, probably a stylized makara . The stock is inlaid with bone in a diaper pattern of quatrefoils, lines, and dots, contrasting nicely to the dark hardwood. 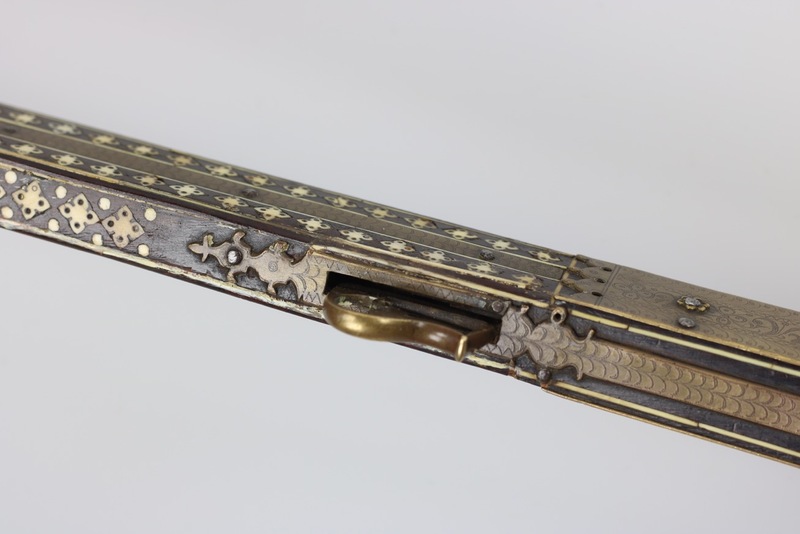 The stock is reinforced with brass plates covering the trigger mechanism, all very finely engraved with abstract repetitive motifs. 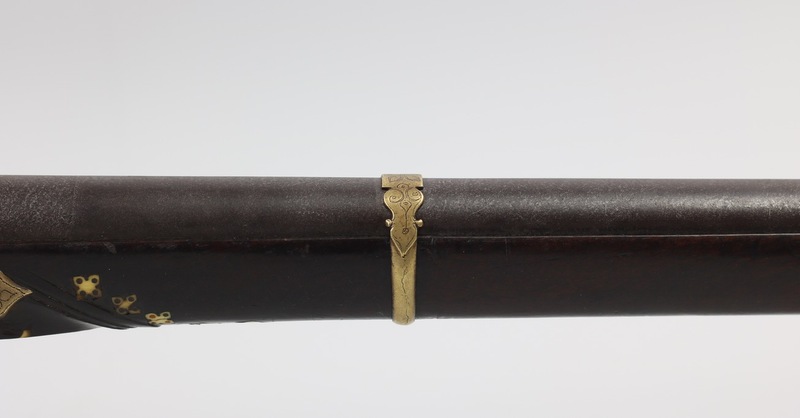 The barrel is held in place by a series of brass bands, finely crafted, and finely engraved to match the other brass parts. The fit and finish of all parts is impeccable. 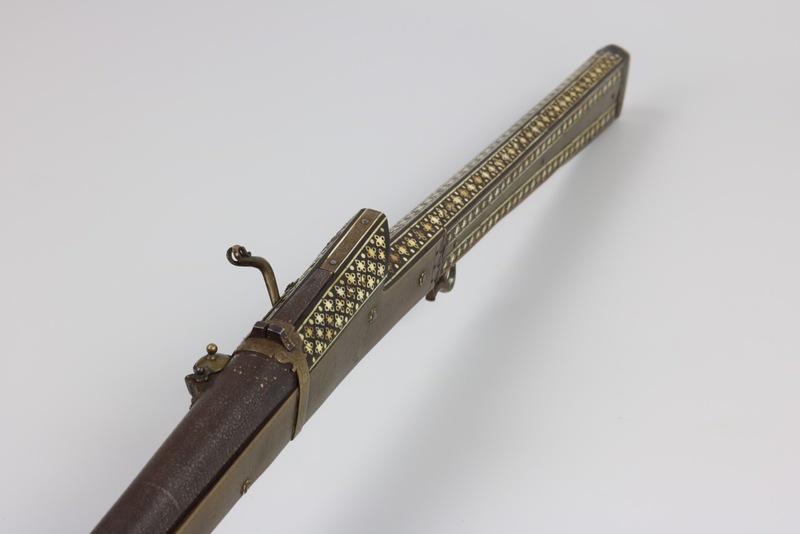 Safe for the missing ramrod and fainted barrel decoration, it is in excellent condition throughout. Inlays almost 100% intact, some minor losses and skilful period repairs. Lock functions perfectly. Very complete, with its original pan cover and sling loops. No significant losses or damage. A drawing of a remarkably similar toradar is published in Egerton. 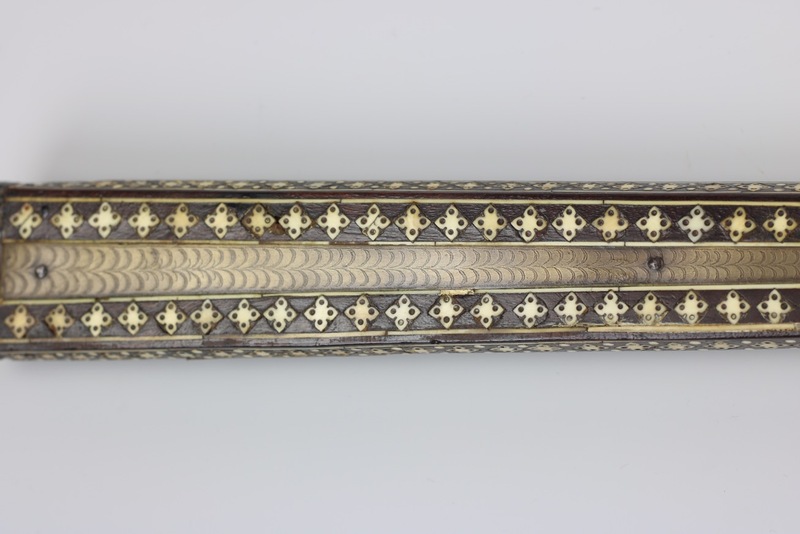 It is one of a pair with lengths of 2 foot 9 inch, (approx 84 cm) and 3 ft 1 inch (approx. 94 cm). While the decor in the line drawing is remarkably similar to ours, both these guns are a lot smaller. He attributes them to Gujranwala, a town in present-day Punjab province of Pakistan. 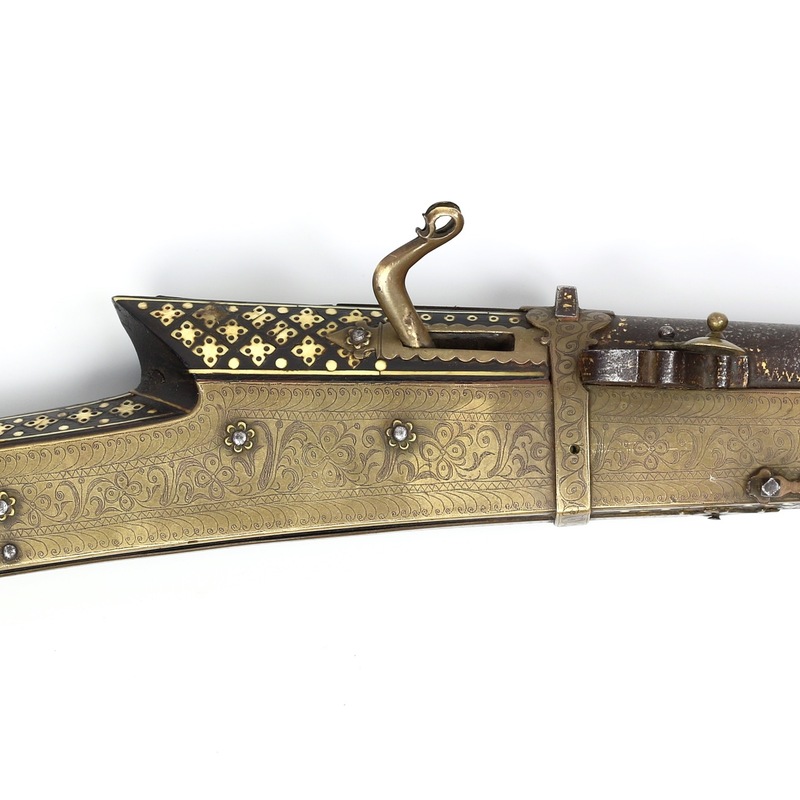 He describes them as "lady's gun" but states that "miniature arms are made not only for women, but also for boys as young as five years old." 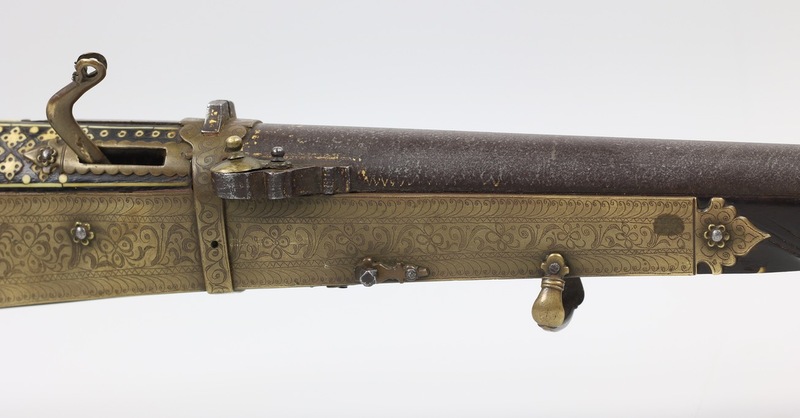 Another small size musket is in Elgood, Firearms of the Islamic World, cat. 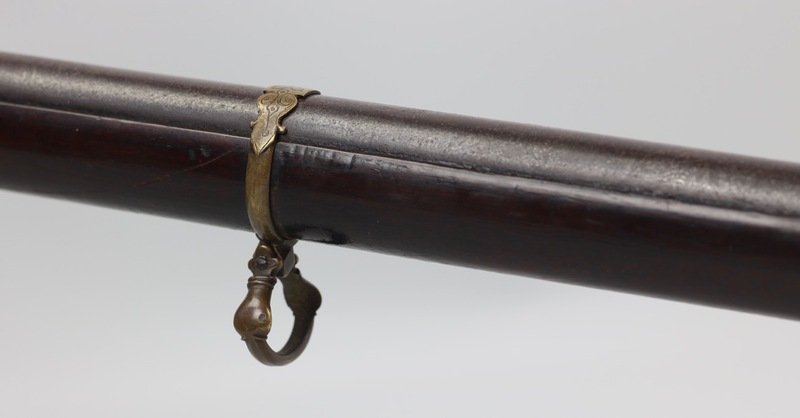 110.2 An interesting reference in Egerton mentions short muskets in use by the Populzais, a Pashtun tribe, as observed by Lieutenant Macartney who surveyed the area in the 1830's. To meet the demands of the Convention International Trade of Endangered Species (CITES), this object is sold with an appraisal document from a certified Dutch appraiser of the TMV Federation. 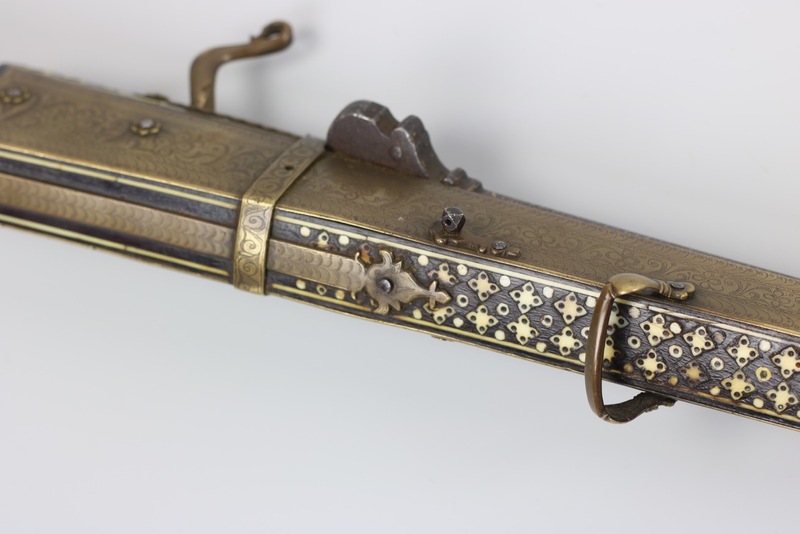 Among others, it states that: The item is manufactured in the 19th century. 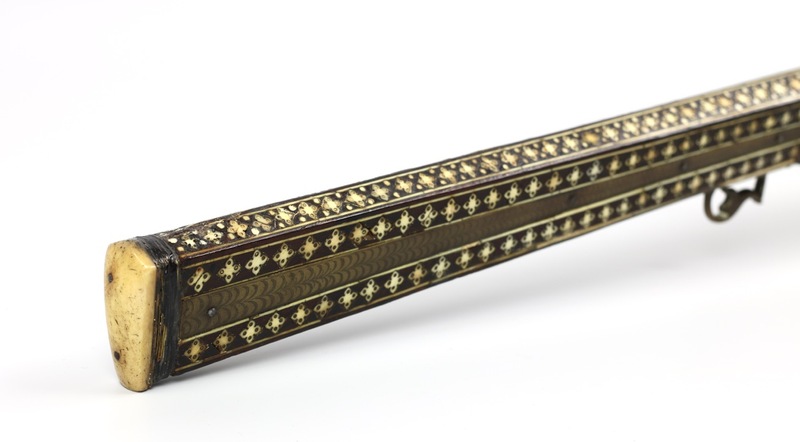 Stock inlays are of bone with a number of small round ivory pieces of the species elephas maximus , listed on CITES appendix I. 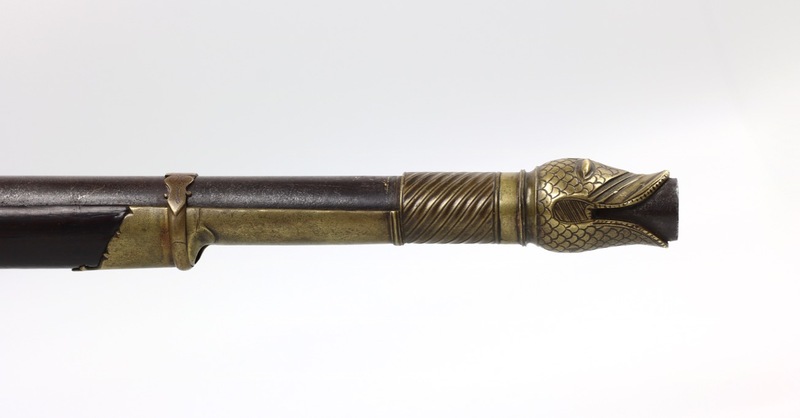 A very fine example of an Indian toradar with elaborate bone inlaid stock and monster head muzzle, features that are not that commonly encountered. All parts are of impeccable workmanship. 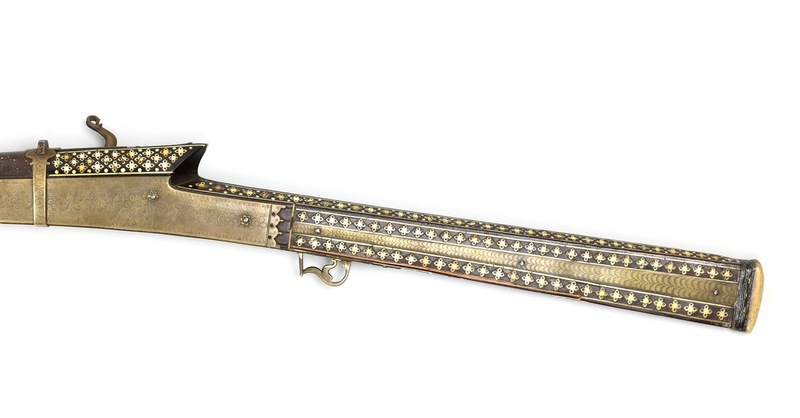 It is an interesting smaller size type, obviously made for someone of rank and / or status. 1. Lord Egerton of Tatton: Indian and Oriental Arms and Armour. Dover Publications; Revised edition, 2002. Pages 52-53 for the line drawings, page 133 #678 for the description. About boy's guns he quotes Prince Soltykoff: "Voyage dans l'Inde", page 174. 2. 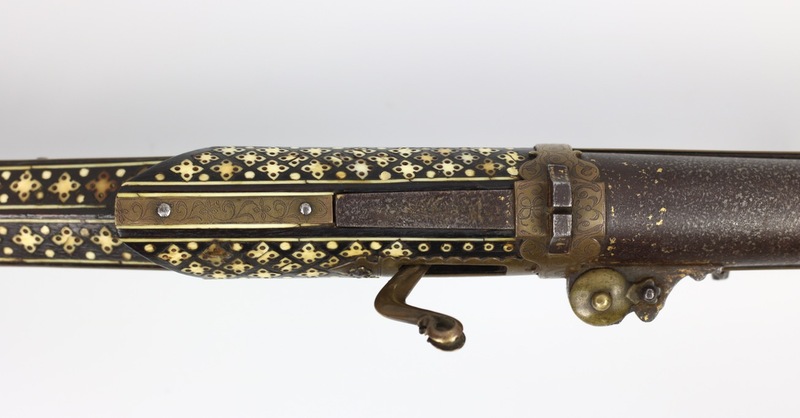 Robert Elgood: Firearms of the Islamic World in the Tareq Museum, Kuwait. I.B. Tauris Publishers. London / New York, 1995. Catalog number 110.